Helen Roussel is an articulate and accomplished social and environmental justice advocate and has been on the Board of the Sierra Club Long Island Group as Conservation Chair as well as social justice organizations in the UK. Helen has campaigned for students right to learn how to read since 2013. Her accomplishments include advocating for 16 different students on Long Island and encouraging school districts in each case to either train or employ a teacher proficient in multi-sensory approaches with the majority of students receiving the services requested. In addition, she has organized the training of 28 Long Island special education teachers in Orton-Gillingham, and 18 public school psychologists to identify dyslexia in students as young as six years old (including training to identify subtypes of dyslexia using the Feifer Reading Assessment). Helen instigated the legislation to define dyslexia within NYS Education Law #A07639A (with thanks to Assemblyman Fred Thiele). Helen strides to empower parents, students and teachers by utilizing evidence-based strategies to implement solutions that transform lives. 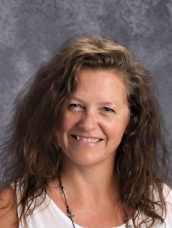 Evelyn Gross Whitebay is a public-school special education teacher who is a certified member of Academy of Orton Gillingham Practitioners and Educators (AOGPE). Evelyn holds a Master of Education degree from Vanderbilt University and received theRonald Yoshimoto Scholarship Award and Training in Advanced Orton-Gillingham. Evelyn is a National Learning Disabilities Association New York State Chapter Board Member and a member of the International Dyslexia Association (IDA). Evelyn has worked with Decoding Dyslexia New York and Teachers Dyslexia Coalition (nydtcoalition@gmail.com). She is involved directly with DyslexicDays FB Library Initiative, and supports the Parent Dyslexia Coalition (driveradyslexiaparentcoalition@gmail.com), NY Dyslexia Teachers Coalition (nydtcoalition@gmail.com), and the National Literacy Dyslexia Coalition at IdentifyingDyslexia.org. Evelyn serves as a powerful force to improve the lives of children with dyslexia by ensuring they learn how to read and are able to participate in their public-school education. Evelyn’s entire career is dedicated to advocating for and working with students who have Learning Disabilities and dyslexia. Sarah McCandless is the Executive Vice President and Chief Financial Officer at Suffolk Federal Credit Union and was previously Vice President and Controller for Bridgehampton National Bank. Recently honored as one of the Top 50 Most Influential Women in Business Sarah McCandless is recognized for her professional leadership and business acumen, mentoring and community involvement. Sarah is a member of the American Institute of Certified Public Accountants (AICPA)and New York State Society of CPA’s. Sarah’s community leadership and service include; serving on the Board of Directors for the Girls Scouts of Suffolk County, treasurer for Sag Harbor Elementary School PTA, former volunteer of the Finance Committee at Most Holy Trinity Church, the Ernst & Young LLP Mentoring Program, the JPMorgan Corporate Challenge, the Association of Retarded Citizens and the Children's Museum of the East End. Sarah resides in Sag Harbor with her two daughters. Janine Mahoney is a mother, a teacher and an educational leader. She received a dual degree in Elementary and Special Education from Saint Joseph's College, and a Master's Degree and post graduate certificate in School District Administration from SUNY Stony Brook. She is certified in levels one and two in the Wilson Reading Program, a research based multisensory approach designed for students with Dyslexia. She has worked for Developmental Disabilities Institute with adults and children with Autism and Developmental Disabilities, and more recently in public education. She spent six years teaching special education in elementary school in Orient, New York, and the past sixteen years on Shelter Island in a k-12 building. She loves reading, traveling, and seeing that "light bulb" when students make connections. ©2015 Dyslexia Advocacy Action Group, New York. All Rights Reserved.